Gorgeous! 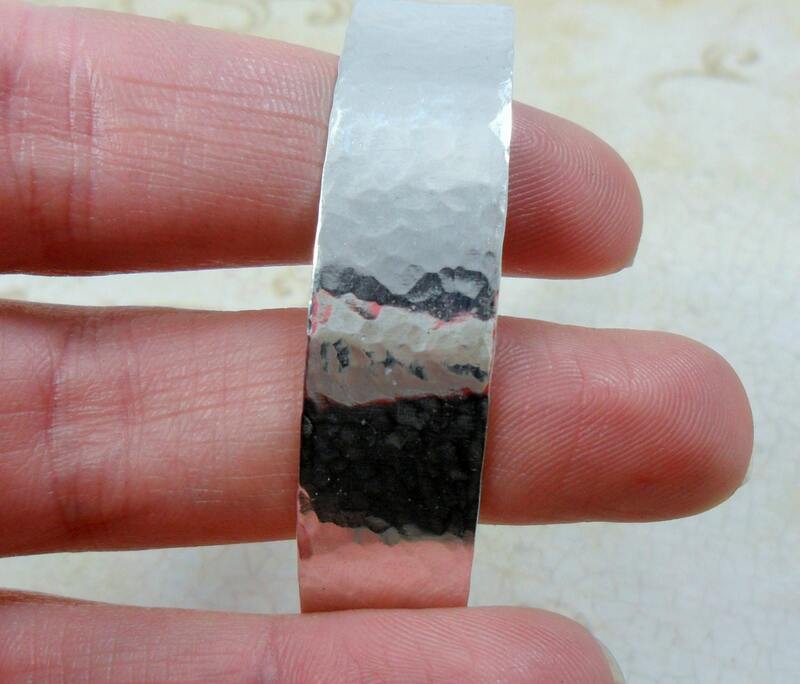 This cuff is made from 18g thick sterling silver and is 1/2" wide by 6" long. 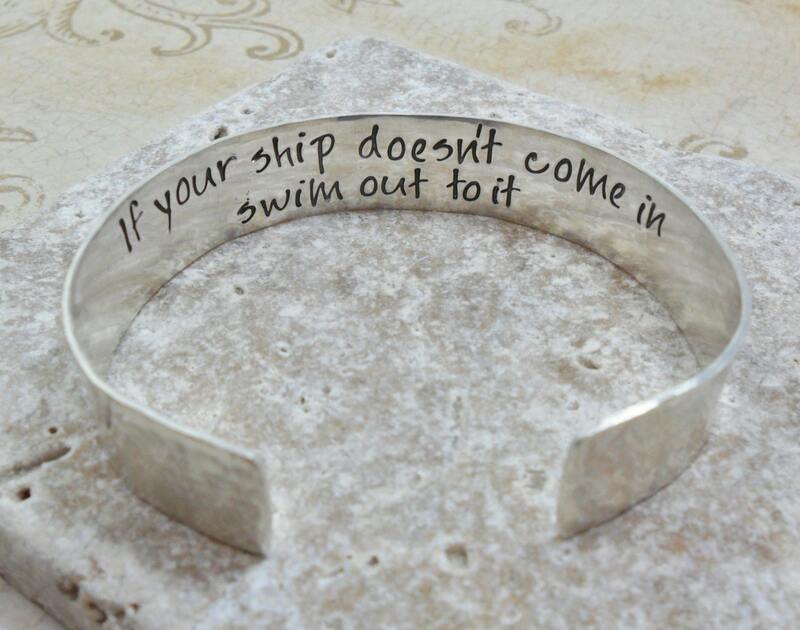 Yours will be hand stamped on the inside with the names, dates, or quote of your choice in any of my fonts. The font as shown is my "Laila" font. The outside will be hammered and polished to a high shine. 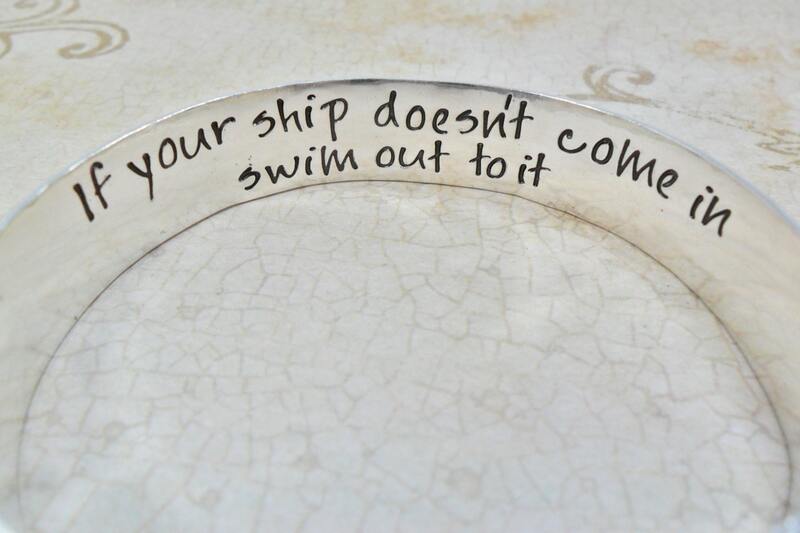 Perfect for everyday wear; it adds a bit of sophistication to any outfit--but meaningful with its hidden message. Please note your personalization in the space provided for notes at purchase. Questions? Contact me! 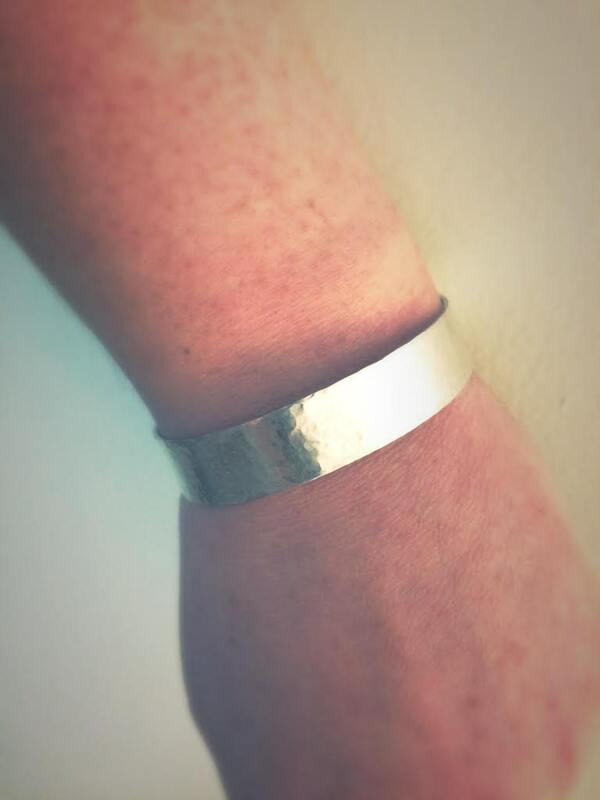 6" cuff will fit most women with wrist sizes 6.5" - 7.5" well. However, if you are petite/slim, you may need a 5" - 5.5" cuff. Please contact me if this is the case, before purchase. To find your cuff size you can take a piece of string or a slim piece of paper and wrap it around your wrist (snug but not too tight), then subtract 1/2". Example: If your wrist circumference is 6.5", the 6" cuff will fit well (some slide down the arm, not too tight). If your wrist is 6" in circumference, you will want a smaller cuff, at 5.5".